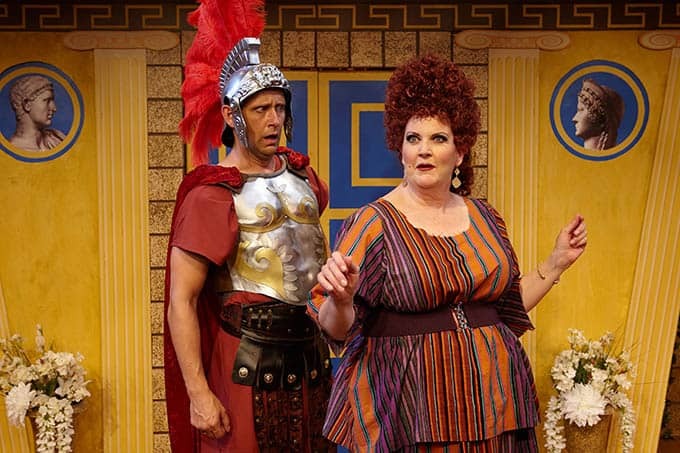 A funny thing happened on the way to North Coast Rep. 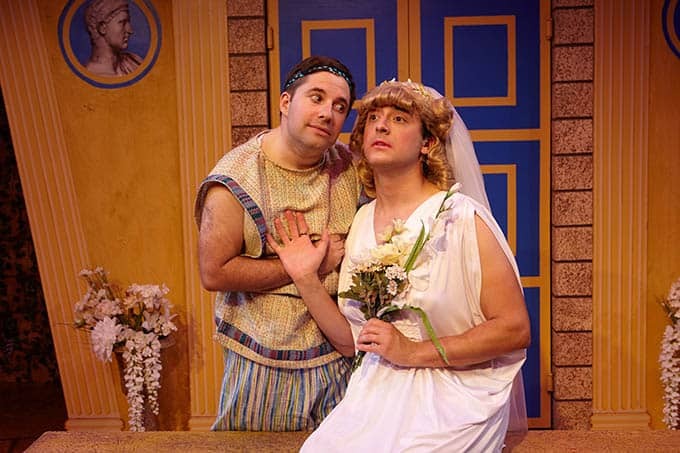 They had to replace the Soul of Gershwin due to a rights issue and stumbled on a little musical comedy by Sondheim. 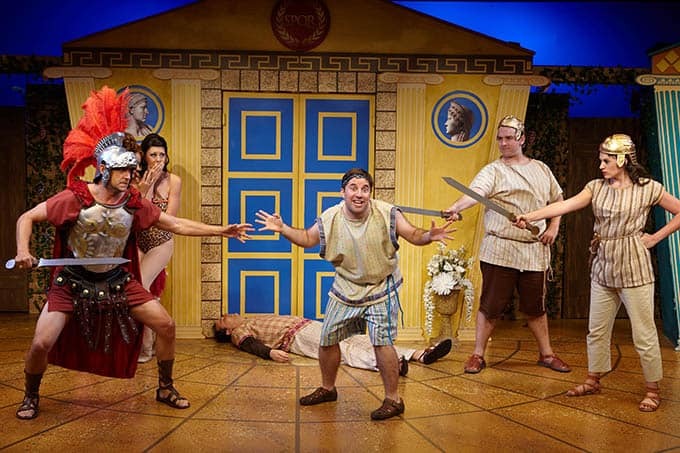 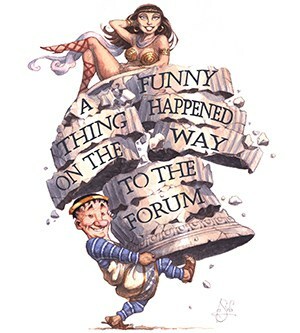 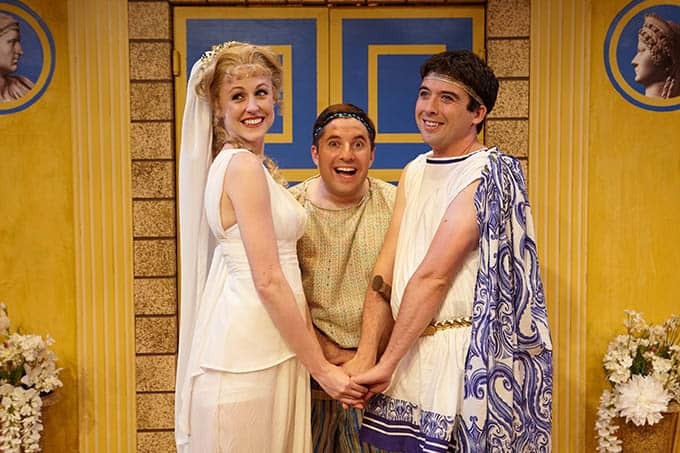 For whatever reasons, the time seems ripe for a smart, hysterically comical revival of a hit Broadway laugh-a-minute show called A FUNNY THING HAPPENED ON THE WAY TO THE FORUM. 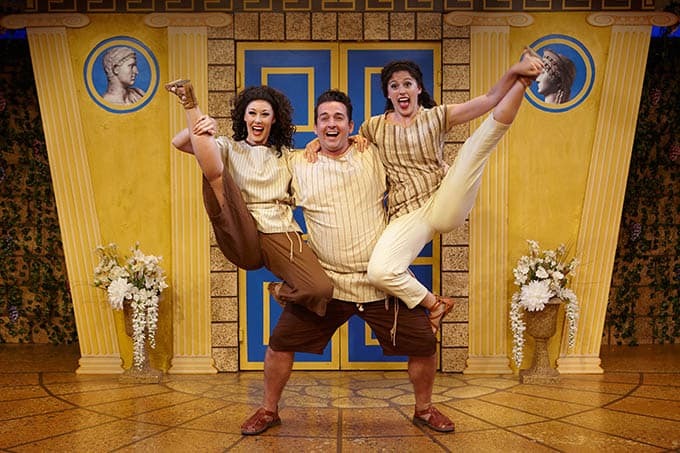 This timeless musical will bring sheer joy and, infectious high spirits with classic songs like “Comedy Tonight,” “Lovely,” and “Everybody Ought to Have A Maid”. 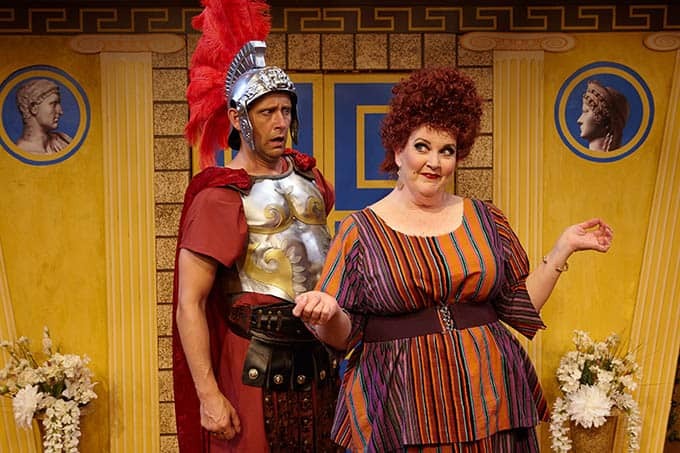 It's silly, a bit slapstick, hilariously funny, highly entertaining and definitely Sondheim at his comedic best. 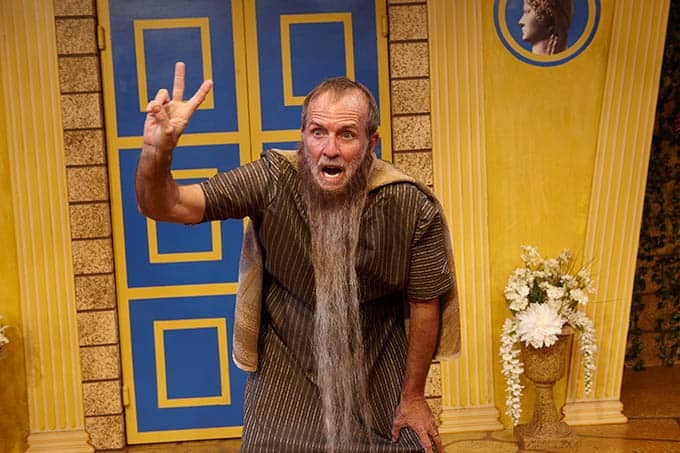 This show is a megahit. 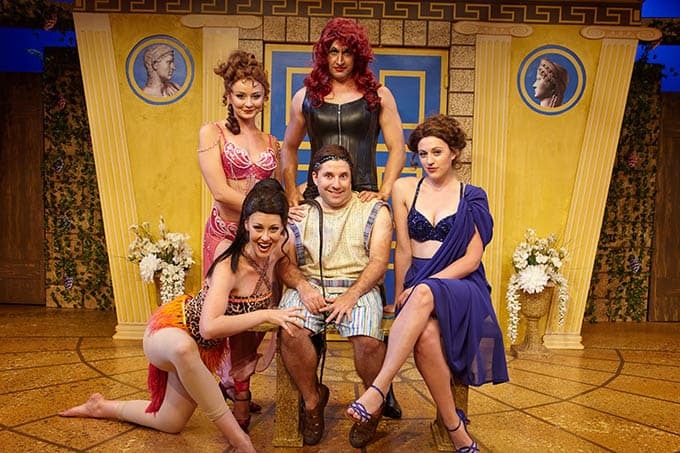 For anyone who needs a good guffaw, this show is flat-out fun-filled and fantastic. 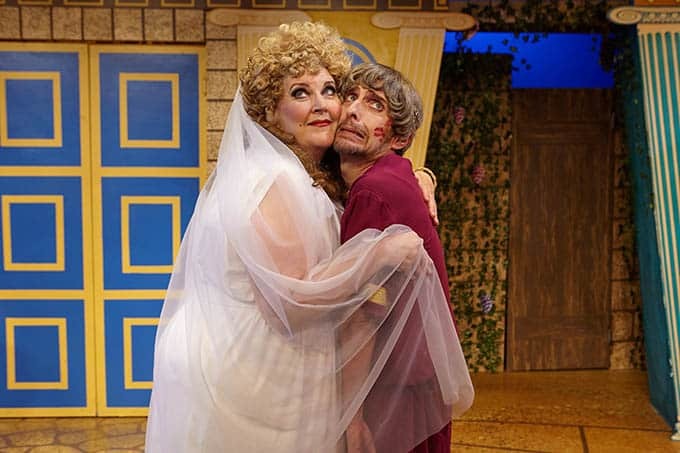 Riotously funny from start to finish…your sides will be hurting from laughing as they take you along for the ride of this wickedly outrageous farce. 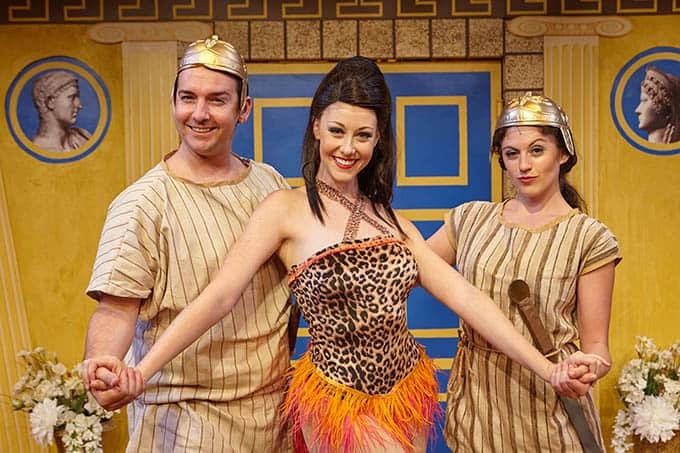 It’s a hit! 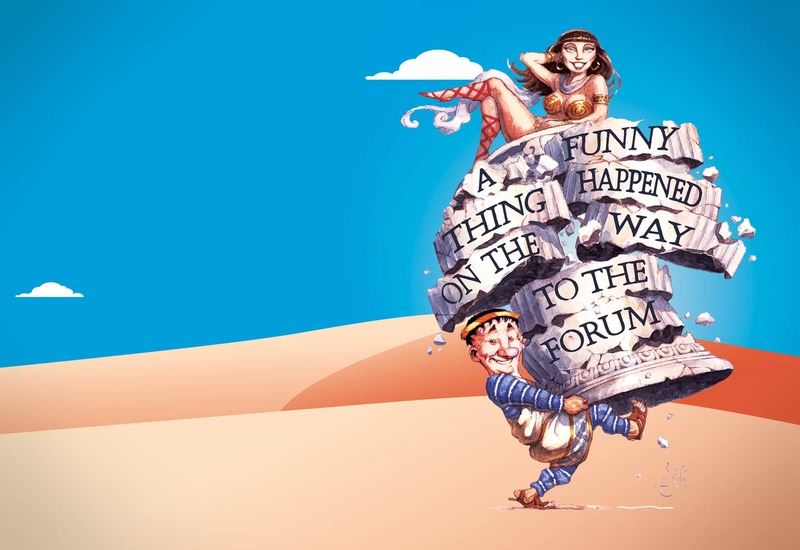 ‘A Funny Thing Happened on the Way to the Forum’ is the funniest show of 2018! 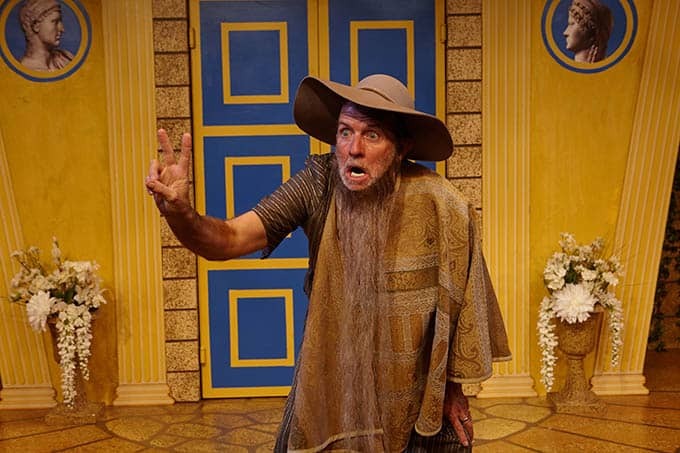 Wacky and absurd, this rib-tickling show wraps up the 36thseason for North Coast Repertory Theatre with a bang! 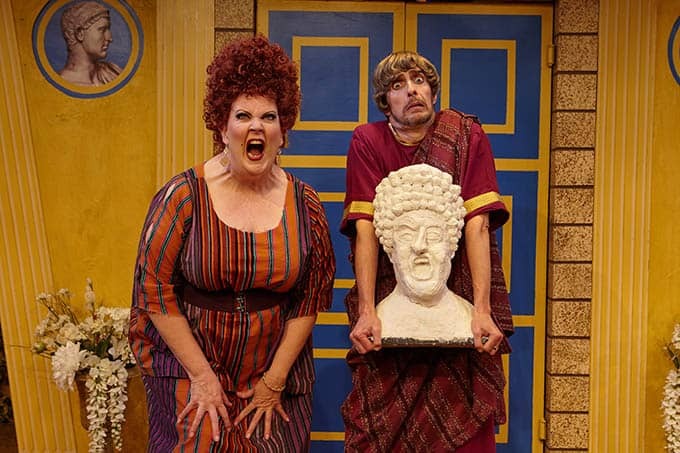 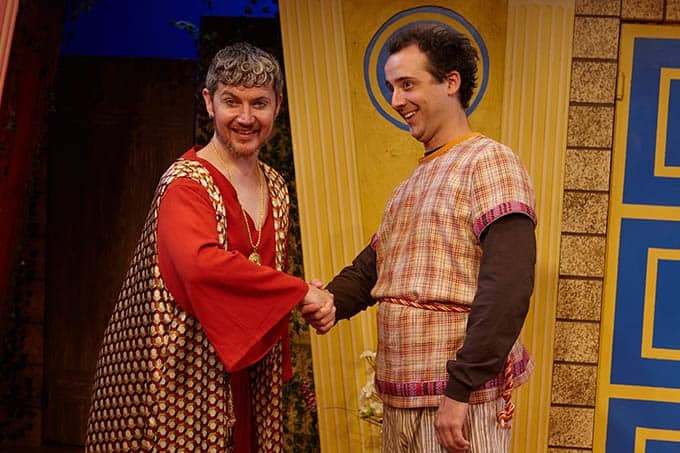 Roman writer Plautus started this whole thing, but in ‘A Funny Thing Happened on the Way to the Forum,’ Sondheim and North Coast Rep have taken it to a hilarious, not-to-be-missed extreme. 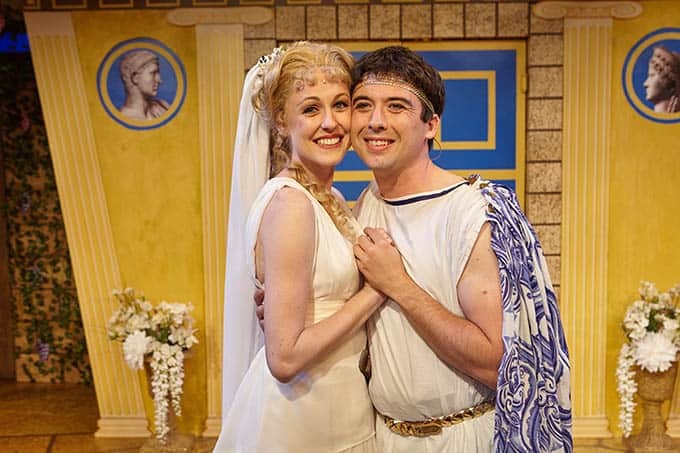 North Coast Rep is closing out their 36th season with its biggest production. 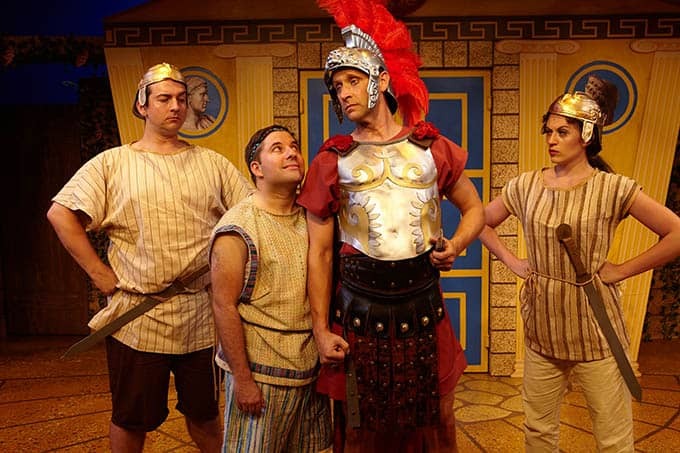 With a fine cast and able musical accompaniment, David Ellenstein has directed a great production of this classic musical. 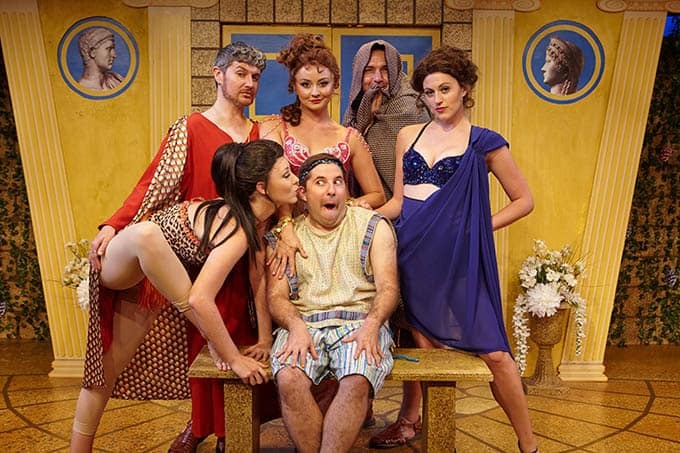 This is a fine evening of laughs and songs, don’t miss it. 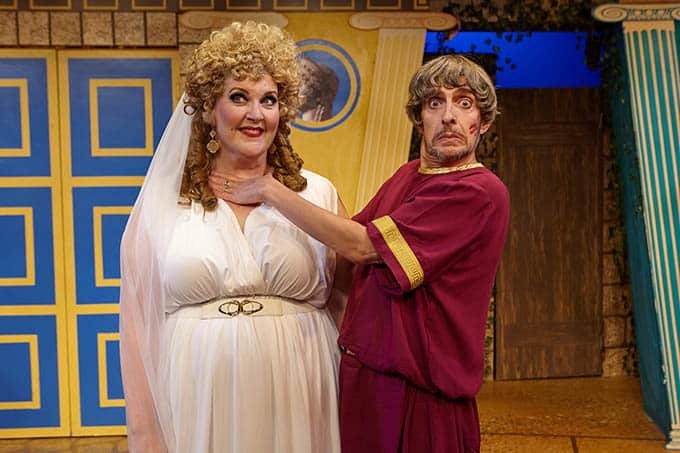 It rounds out NCR’s great season, and sets the stage for a great lineup next season. 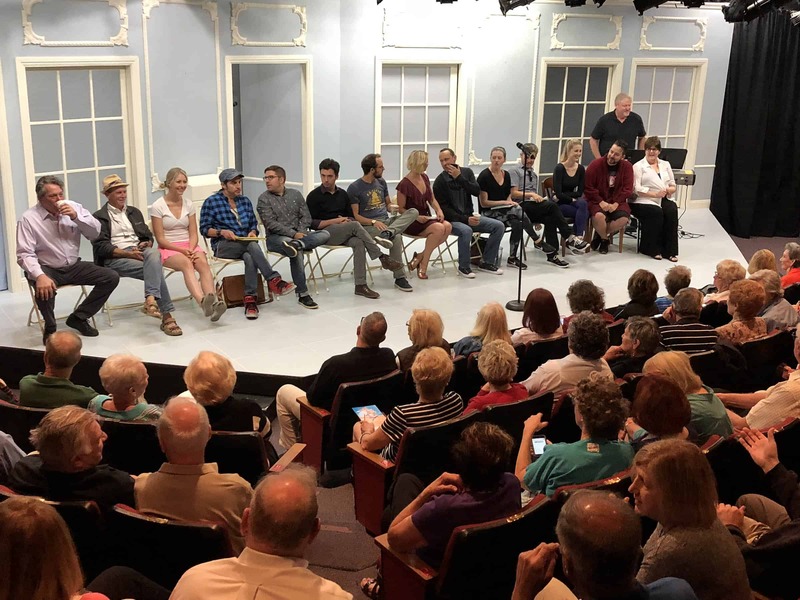 North Coast Rep Theatre delivers an early Christmas present to its audiences and it's only July! 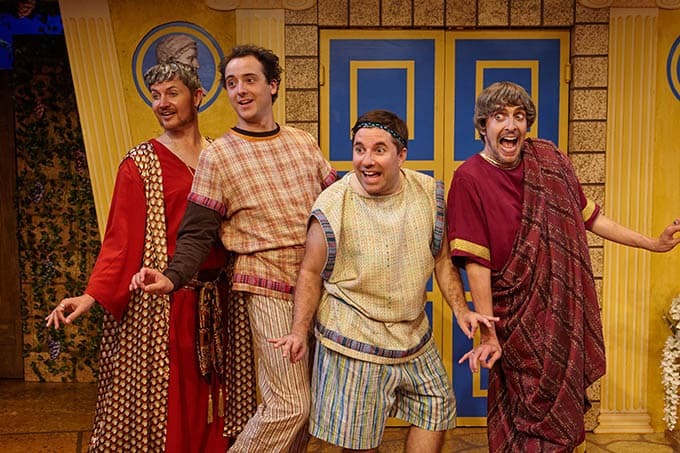 'Funny Thing' is flat out hysterical comedy/farce that is brilliantly and creatively staged by David Ellenstein with a cast of Pros to die for. 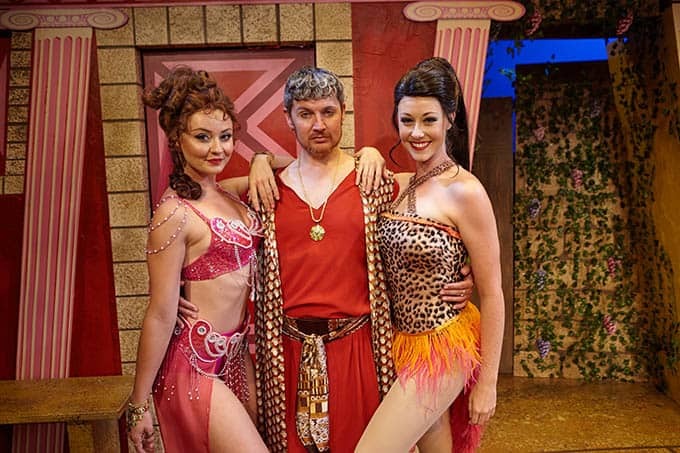 It's like Arabian Nights Fantasy on steroids set in the heyday of Caesar's Rome.